Everyone has tooth pain when they bite into something hot or cold, right? No! Hypersensitivity is actually your first indication that something is wrong. Tooth sensitivity affects about 1 in 2 adults. There are many causes of tooth sensitivity and it is an easily treatable condition. How you brush your teeth. Brushing with too much force or using the incorrect toothbrush are the most common reason for tooth sensitivity. Over time, your enamel may get worn down and the dentin tubules (the cover your tooth surface and are like pores that lead to the nerve) are exposed which causes pain especially when you eat acidic, sticky or hot or cold beverages. Over-zealous brushing can also cause gum recession, which exposes the tooth root and the delicate nerve endings which causes sensitivity. Solution: brush gently with the proper toothbrush. You may clench or grind your teeth (bruxism). You may do it while awake, especially under stress but you not even know you are doing while you sleep. If you wake with sore jaw muscles, suffer from headaches, notice teeth are chipped, cracked or worn this could be the cause. Solution: Dr. Bertolini can do a comprehensive exam to evaluate your specific treatment plan. This plan will most likely include wearing an occlusal splint or night guard on your teeth while you sleep to prevent further damage and relieve some of the pressure of your bruxing. These are custom made by Dr. Bertolini or his lab to ensure it treats your unique situation. For some people, tooth whitening can cause tooth sensitivity. This is temporary and treatable. Solution: Dr. Bertolini recommends wearing our whitening trays for two-30 minute periods every other day instead of overnight to reduce this pain. Following up with a desensitizing toothpaste 30 minutes after whitening. He also recommends beginning whitening treatment with a low-concentration product and increase if you do not have symptoms. You may have a cavity. When decay occurs, the tooth structure becomes softer and more porous and the enamel is not able to protect the tooth properly, which may be causing the sensitivity. Solution: Have the decay removed and restoring the tooth with a crown, on-lay or bonding. You may have gum disease. When you have gum disease, your gums may begin to recede and expose your tooth root and the delicate nerve ending which can cause sensitivity. Solution: Having check-ups regularly is your best defense in the early detection and treatment of gum disease. It may be helpful to use a desensitizing toothpaste. 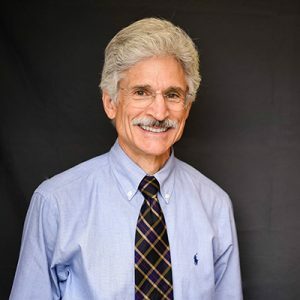 Dr. Bertolini recommends one containing potassium nitrate which works by shielding the exposed nerve endings which reduces the sensitivity quickly. Depending on the cause of your sensitivity, using a desensitizing toothpaste, containing potassium nitrate might be all you need. Unfortunately, these types of toothpaste do not work for everyone. Another option is a fluoride varnish Dr. Bertolini would apply to the sensitive areas to strengthen the tooth enamel and reduce the pain. A third option is a bonding resin he can apply to protect the sensitive root surfaces. If your pain is caused by excessive loss of gum tissue, a surgical gum graft may be your best solution. An office visit is the only way to determine the cause of your sensitivity and the best solution for your unique situation. 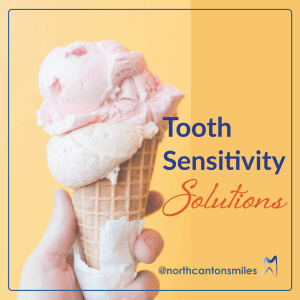 Call us today and we will help you find the best solution to end the pain of your tooth sensitivity.